Understated and effortlessly elegant, this solid wood end table with a single drawer adds a dimension of traditional country style to any room in the home. Its tall legs and strong, gently tapered lines - ever so slightly wider at the top than the bottom, giving an almost imperceptible wedge aspect to the table as a whole - give this piece the standing to combine strength, practicality, and beauty without compromising on its contemporary country style. 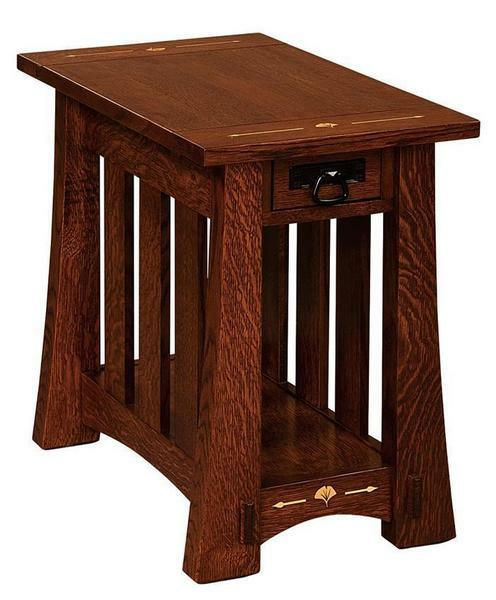 Choose your ideal solid wood and stain from the menus above to create your perfect end table, and if you've any questions at all, please don't hesitate to give us a call or an email - we would love to hear from you.